I get asked a LOT about social media - how to get started, how to grow a following, and how to get sales from that following. I think because social media is so prevalent in our personal lives, we feel like we should easily and quickly gain this following for our brand - and that it shouldn’t be this complicated! But I’m here to tell you, building a social media following IS difficult - people are constantly being pitched to, advertised to, and given options, and gone are the days of just throwing things out there and having people follow you (or paying a few dollars a day for advertising your page and getting hundreds of Facebook followers from that - let’s take a moment to mourn that). Because social media has grown so much over the past few years, you have to have a very strong identity and direction for your account. Basically, you can’t just post random things without any flow or connection to each other or your business and expect that people are going to follow you. Visual branding is probably the most noticeable, and the easiest to work on if you are just getting started or just trying to really dive in to see a difference in your growth. Your social media should have a certain "look" to it. There isn't one set look that it needs to have, but it should be recognizable. In looking at your page/feed, customers should infer a tone from the pictures or a consistency to the look of your postings. All three of these brands (Freshly Picked, Polders Old World Market, and June and January) have mastered the art of building a beautiful and cohesive feed. The pictures have a similar feel, colors, and style which leads to a recognizable brand identity as soon as you see it. You could be mindlessly scrolling along through your IG feed, and you’d see one of these pictures and recognize who posted it maybe even before it totally registered what the picture is. It is important that your style of pictures is similar. People want to know what to expect from you, and the people who follow you will enjoy whatever style you’re consistently posting. Need help with your visual branding? Sign up below and get instant access to my top four favorite IG apps that help me make a beautiful feed. The second area of focus is the topics and boundaries of your social media profile. To be honest, this has always been a struggle for me. On a personal level, I'm not really big into posting on social media - I’m a private person and I just don’t find that many moments in my everyday life “Instagrammable” (or else it feels like the moments that are out of the ordinary or especially exciting make for bragging IG posts). I struggle to feel good about using it for those kinds of posts, but I also know that it has been an integral part of the success of my business so I trudge on (and occasionally enjoy it -- it isn't *all* bad -- I’ve made some great friendships and connections through social media that I am SO thankful for). 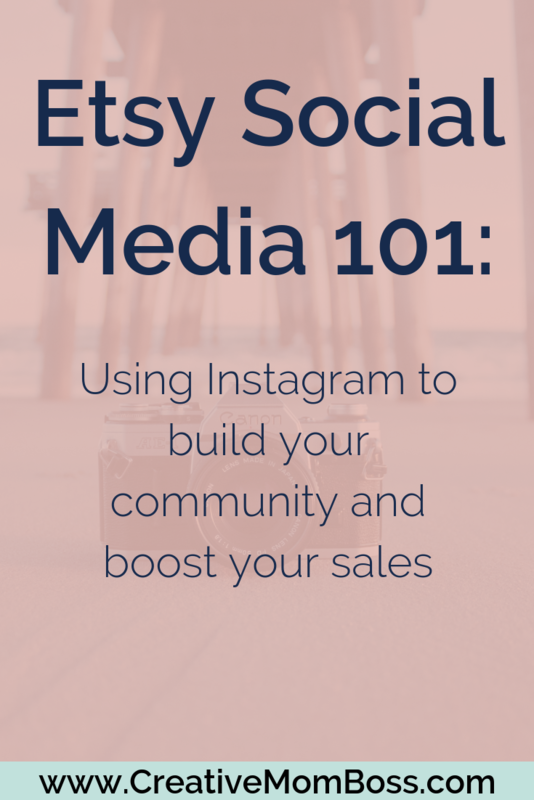 For my Etsy shop, the social media I use for my business is pretty strictly just business. I know that often times people suggest that social media should be a mix of business, personal, behind the scenes, etc. and that can be great if you enjoy it or are building a more personal brand. My Creative Mom Boss instagram has way more personal and behind the scenes type posts on it than does my Etsy shop (Funky Monkey Children) instagram. I also think it is fine if you don't want personal posts on your Instagram or if you prefer to have your personal and business profiles completely separate, and I've seen good success and engagement sticking strictly to business and product posts. Above is a snapshot of my Funky Monkey Children business Instagram page. As you can see, there are no personal posts (that's not my baby!) I post strictly product posts, and don't really contribute any personal details to any copy on the posts. This is my personal preference, and certainly not the *only* way of doing it. Amy Porterfield and Beth Anne Schwamburger have chosen to integrate both business and personal posts in their feed and still produce a cohesive design with posts that their customers are interested in. There is no right or wrong way, but it is just something that you need to consider as you are beginning your account or beginning to grow your account so that there can be some consistency with content and you aren’t all over the place. As a side note, I do think that the trend in social media right now is to move toward more personal posts. While I don’t know that I agree or disagree with the thought process behind that, I’ve seen more and more people who are bigger “influencer” types (Amy Porterfield is one) who started off posting almost exclusively business content and have moved toward a much more “behind the scenes” type content. 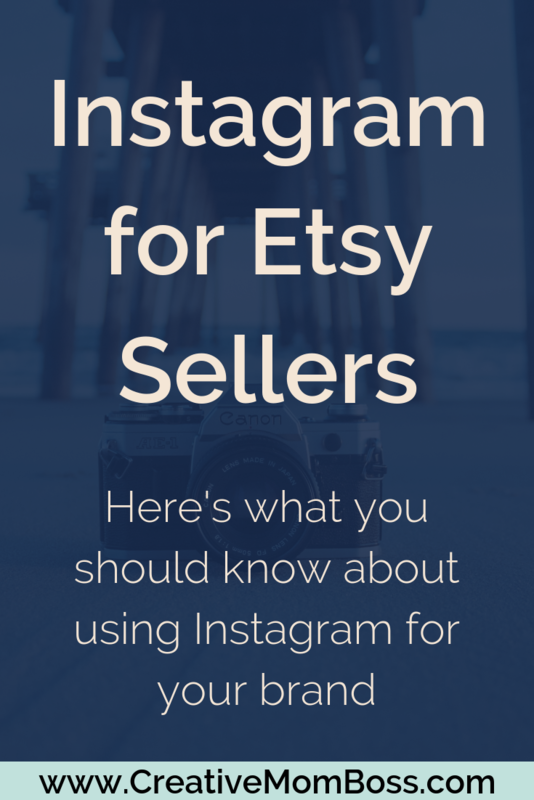 As a product based business on Etsy, I think the personal and behind-the-scenes or more vulnerable postings are less important. People aren’t necessarily following your Instagram account because they are invested in you as a person or your personal life; they like your items. However, if you are building a service based business or a business that has a more personal spin on (perhaps you design wedding invitations or you create printables for people), it may be better to incorporate more of the personal posts. Lastly, an important aspect of social media is consistency. Like everything else in life, people want to know what to expect with your social media postings. ou do *not* have to post every single day, but your customers should know kind of what to expect -- Once a week? Once every other day? The frequency is not as important as the consistency, so make sure that you set some sort of schedule for yourself and then stick to it. I’ve found that once per day works best for me, both in terms of creating content and not having to come up with SO many things to post about, but also in terms of my audience being engaged. 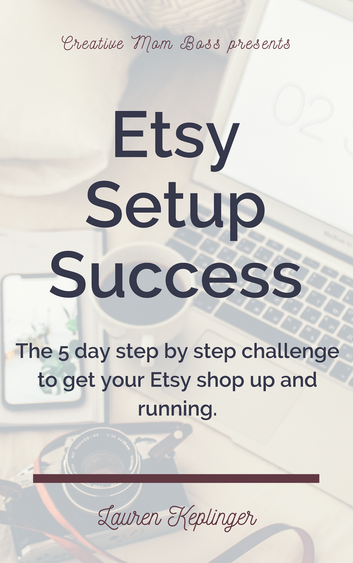 Need help with your consistency? Sign up below for a list of my top 4 Instagram apps, including my FAVORITE tool to make sure I stay consistent with my postings. Growing a social media following is not simple work. It takes some thought, some planning, and some work to continually post on a consistent basis. How do you feel about social media, both personally and professionally? Do you love it? Hate it? Have a love/hate relationship with it? Drop your favorite social media link below and I’ll check it out!